Available 7 days a week from 9a.m. to 9 p.m. Call 817-715-3262 and let me help you today!!! I would love to help you find your next home or sell your current one! Let me become your Real Estate Expert! Everything you need to know about buying or selling a home can be found here on my website! As one of the top producing real estate professionals in my community, I am dedicated to providing the finest service available. Whether you are buying or selling you need a savvy, expert negotiator working for you! Because the real estate industry is becoming more sophisticated and challenging every day, you need an enthusiastic professional that understands the industry and is positioned to stay ahead of the game. I go the extra mile and take care of all the details to help you achieve your goals.That’s why I constantly research the market and property values so your home is priced effectively from day one. I also make sure the public knows your home is for sale by using innovative advertising and marketing techniques to attract potential buyers. There are no realtor fees for buyers and discounts for sellers who also buy a home. When buying or selling a home every question is important and should be answered in a timely manner. For that reason, my clients can reach me 7 days a week on my cell phone until 9:00 pm. Give me a call and let me start working for you today! I have a Bachelor’s degree with a double major in Accounting and Management from Dallas Baptist University. You want a smart, well organized realtor to take care of all the details so your purchase or sale goes as smooth as possible. That is why I have furthered my education and earned several real estate designations. We just closed on a house that we had listed with Dana Meeks and would like to tell you that in my forty plus years dealing in real estate she is one of the best agents I have had the privilege of dealing with. I have bought eight different houses over the past 25 years and did not realize until working with Dana how much a true real estate professional brings to the experience. I can’t begin to describe how much I appreciate and value Dana – she is very responsive, thorough, listens well and makes the entire house buying process a complete breeze. I just closed this morning on a house she helped find for my son. My experience with her was so positive that I plan on listing my current residence with her and then buying a new house with her help. Buying and selling houses has never been so worry free and actually fun! Dana should be the standard that all real estate agents aspire to meet. I would highly recommend Dana to anyone who needs to buy or sell a property – her knowledge of the area, helpful attitude and high degree of professionalism are what I believe everyone would want to take advantage of. Dana Meeks is not just an agent but a friend. From the first time we met, she made my family feel like she would help find us the perfect home we wanted and deserved, no matter how long it took for us to be happy. She has helped us sell two homes and buy two homes. I wouldn’t have another agent. I bought my home from Dana in 2005. When I needed to sell it this year, I called Dana on a Monday–and had 2 offers by Wednesday!! She was quick to respond to all my questions. I would recommend her if you need to buy or sell a home. My husband and I would like to thank Dana for making our home purchasing process so simple. She is definitely honest, patient, friendly, professional and extremely knowledgeable about the local market (DFW area). We will recommend the BEST REALTOR in town to our family, friends and to anyone looking to purchase a home. Call Dana if you are looking for an experienced REALTOR that will be there for you any time you need her, day or night 7 days a week. Dana made the process of selling our house hassle and stress free. Her competent knowledge of the process and practical assessments of the current market helped us make the right decisions about selling our house. My husband and I would like to thank Dana for making our home purchasing process so simple. She is definitely honest, patient, friendly, professional and extremely knowledgeable about the local market (DFW area). We will recommend the BEST Realtor in town to our family, friends and to anyone looking to purchase a home. Call Dana if you are looking for an experienced Realtor that will be there for you anytime you need her, day or night 7 days a week. I had a great experience with Dana. 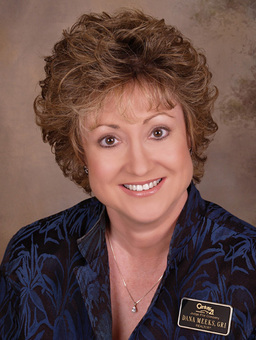 She is extremely knowledgeable about the areas that she covers such as Mansfield, Texas. She is very timely in responding to calls and emails. Dana also does a wonderful job of negotiating where the interest of all parties are considered. I will definitely recommend her to others. Dana helped me sell my Mother’s Estate family home, which was located in another state from where I live. The house had been sitting empty for over a year. She made all the arrangements to get the home ready for sale–she set me up with a very competent contractor (who was reasonably priced & very good) to do all the minor repairs to the house, paint the inside, replace the carpet. She arranged for all the appropriate inspections. She kept me informed (long distance) every step of the way & walked me through the whole listing & selling process. The house sold in three days. She was very professional, knowledgeable, & helpful, making this whole process very smooth. Definitely has my VOTE of confidence! Dana was on the job,I informed her as to what I was looking for both size and price and we found it,she handle all the details and made the purchase a breeze all the way to the closing. Dana did an excellent job with selling our previous house and helping us find our current one. She went the extra mile and made the process very simple. We had an issue with our home warranty a few days after we moved into our house. She immediately took action and helped get the action resolved. Dana is the best! We thought we would never sell our condo. It was a small one room condo and it needed some work done.We have an almost two year old son and he needs his own room. Dana came in and told us what we needed to do to get it ready and we immediately set out to get it ready to sell. Dana helped to retrieve potential buyers as soon as it was up for sale, which eventually led to our buyer. We were so excited! We sold our condo and closed on a home on the same day about two weeks ago. Thanks Dana for all your help. Our little boy has his own room finally and we can celebrate his second birthday in our new home with family and friends. Dana is a real pro- mapped out the process, got some good prospects engaged the first week of listing, got a very clean, full-price offer with qualified buyer and actual net funds were about $800 more than her estimate. Highly recommend Dana for selling property in east Fort Worth. Dana, was very eager to help us get the most from the sale of our house and to find the perfect new home for our family. She is a very pleasant agent to work with and we never felt uncomfortable asking her questions. She kept us on track and reminded us what was important to us and the big picture. She is super friendly and always answers her phone. She is definitely a professional realtor!! She made the sale of our home easy. Her honesty on the location and value of listings found was helpful in our decision.